We know you want to check out our host city Berlin! Here are some reasons why you should be planning your next trip to Berlin, with HostelSkills #4 Conference being one of them. 2. Berlin has a lot of alternative cultures and styles but also is marked as the ‘hipster’ city of Europe. In neighborhoods like Kreuzberg, Neukölln and Friedrichshain you’ll find tons of vibrant places where you’ll find Berlinners chill and do their thing. 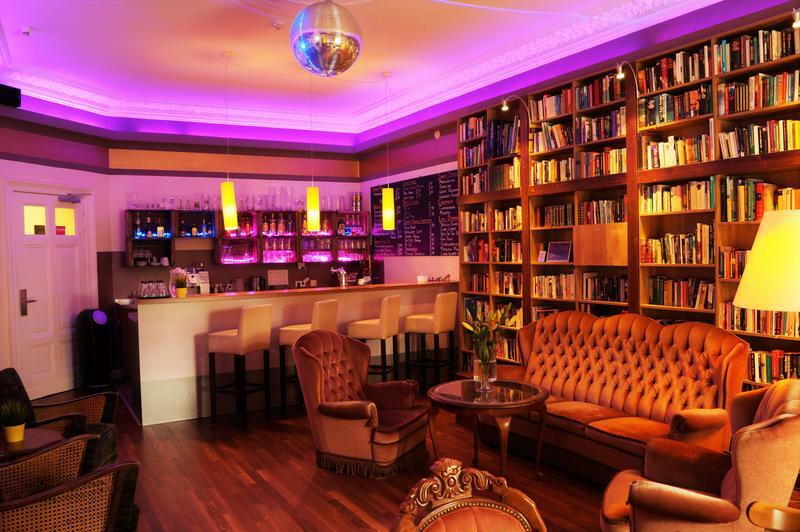 You’ll also find a lot of underground bars and alternative pubs and clubs here… A bar in Berlin is a bar like no other! 3. Berlin also has a ton of food markets – outdoor andin indoor market halls, where you’ll find snacks, German wine, German cheese and a lot of foods that will leave you mouth watering.In the neighborhoods Kreuzberg and Neukölln you’ll find tons of great restaurants and small lounge bars. Here (and in the rest of Berlin) you’ll also find dozens of coffee bars that are insanely cute, good and fun to visit! Your visit will never be long enough to taste all the great coffees! 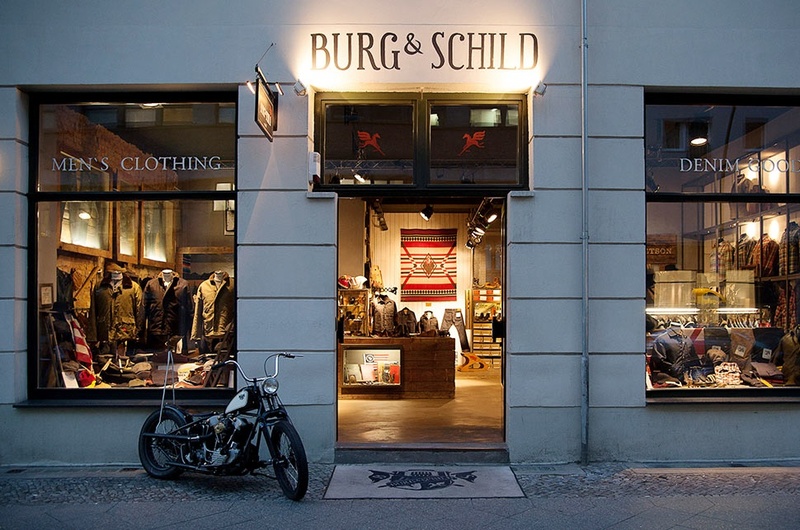 Berlin is filled with small stores. From secondhand bookstores that sell the most amazing old books (and with old I mean old), to small vintage stores that sell high quality designer clothes. You can find them everywhere, if you just walk away from thecity center a little bit. But once you found those small gems: you’re in luck. Some of the biggest and most insane clubs of Europe are situated in Berlin. Berlin has a huge, active and crazy nightlife and you’ll not get bored while you are in Berlin. You’ll never know where you’ll end up and you’ll never know to which party you are going next. But one thing is sure: somewhere today there is a massive event in Berlin that you need to visit. 6. Even if you are not a party-type Berlin has some great places for you to spend your nights: from beer gardens, to small bars and from the hostel bars to events in art-galleries! While at first it seems like a fun spot to play hide and seek, the meaning of this monument of high slabs is much more than that. The Holocaust Memorial is built in memorial to the jewish victims of the Holocaust. Even though this memorial looks like it is very simply constructed it is also one of the most impressive ones you are going to see in a long time. This definitely leaves a mark. Think of Berlin and you probably think of the Brandenburger Gate. The Brandenburger Gate is the iconic sign for Berlin. And even if you want to avoid it, you simply can’t. The Brandenburger Gate represents the former gate of the road that led from Berlin to Brandenburg. You’ll find two of the most important roads at both sides of the Brandenbruger Gate, and more impressive buildings surrounding it. The East Side Gallery was built short after the fall of the Berlin Wall, and is meant to represent the freedom of Berlin. The wall is around 1.3 kilometers long and is covered with over 100 paintings by artists – and a lot of doodles by tourists who couldn’t resist. The East Side Gallery definitely is my favorite piece of Berlin, and I can’t even remember how much time I spent staring at all these paintings. I think that the East Side Gallery really does a good job representing of how Berliners felt during the time of the Berlin Wall. It really makes you think about freedom. In Berlin you’ll find a line on the ground and on the pavements, exactly where the Wall once used to stand. But in one small piece of Berlin you can still see the actual Wall standing. After seeing this part of the Wall, and how this separated two parts of Germany you’ll begin to understand more and more about it. At the Berlin Wall you’ll also find some background information. Situated directly behind the Wall you’ll find the museum Topographie des Terrors which is a – not so happy – museum about the Nazi. Berlin is famous for her museums. Famous because Berlin has a lot of museums and famous because a couple of them are top-rated museums of Europe. So where to find the biggest museums, and which ones of many should you visit first? Start at Museum Island, where you’ll find the Altes Museum, the Neues Museum, the Nationalgalerie, the Bode Museum and the Pergamon Museum. Other museums to visit: The DDR Museum, the Curry Wurst Museum (believe it or not), The Jewish Museum, Museum Haus Am Checkpoint Charlie and the Topographie Des Terrors. I remember the first time I visited Berlin: the Berliner Dom was one of the first things we saw during our trip. I still remember where we sat, I still remember the details and I remember that there was a choir singing during the time we spent in the Dom. Till today it is one of the most beautiful cathedrals I have ever seen. The building is impressive – both inside and out – the architecture and sculptures are breathtaking and the paintings are magnificent. Definitely walk inside the Dom, even if it is only for a quick glance. More time left? Climb the Berliner Dom and get a stunning view over Berlin. I thought this was really cool, and while this maybe isn’t the most obvious choice (while still very touristic) I definitely think it is a highlight to include to your list! The Sony Center basically is a glass building, where you’ll find everything: from apartments, to offices, to restaurants and stores to 3d cinemas. During my first visit to Berlin we ate our dinner here and went to the movies – some nature documentary. Back than 3d movies were a big deal and something you didn’t see that often. So it was really cool to be a ‘part’ of that! I am sure that the Sony Center is one of the most modern places of Berlin and whenever you’ll visited.. there will be something going on and there will be something exciting you can do. The Sony Center is situated on Potsdamer Platz – as well a must-see if you ask me. The TV Tower is iconic for the skyline of Berlin and wherever you are in the city – the TV Tower is only a glimpse away. You have to see it up close though, simply because you haven’t seen Berlin if you haven’t seen the TV Tower. Got more time? Book a table in the restaurant or buy a ticket to see the panoramic view of Berlin at the top of the TV Tower. Definitely worth it! While I am not a fan of the touristic side of Checkpoint Charlie I definitely think you should visit this part of Berlin. Why? Not to get your passport stamped or to take a photograph with two handsome men but because it used to be one of the only checkpoints between east and west Berlin. When you visit Checkpoint Charlie be sure to visit the Museum Haus Am Checkpoint Charlie to learn more about the separation between east and west. This museum is definitely one of the best museums of Berlin, and you won’t be disappointed! At the West side of Berlin you’ll find the Reichstag. Which is the parliamentary building of Germany. The building was built in 1894 and has a long history due to the Second World War, the Cold War and a fire that destroyed most of the building. You can now enter the building as a visitor to learn more about the history through guided tours and to see the dome. Hope to see you in Berlin on Nov. 2-3!